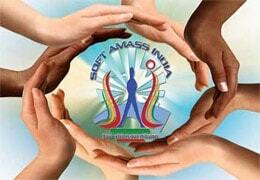 At Soft Amass India (SAI), you'll find plenty of prospects to take your business to the next level. We have some of the most exhilarating information technologies at our fingertips, but we know that the most significant feature of our company is the people who work here. See Hear Feel the difference. Our technology is a way of organizing the universe. When it comes to Technology you can count on us! Soft Amass India (SAI) is an Environment. An Environment where people bring out the paramount, on their own not by impulse and contribute to the associates of the significance sequence, i.e. customers, co-workers, apprentices, merchants and enjoy every transaction of the correlation. SAI' technology products can help you accomplish advanced equipped efficiency and optimize your time, cost and oomph investments. SAI's Creativity is defined as the tendency to generate or recognize ideas, alternatives, or possibilities that may be useful in solving problems. SAI provides an optimal viewing environment experience across a wide range of devices conjunction with client-side ones such as media queries can produce faster. Support is the most vital aspect to all customers so SAI provides 24 hour technical supports to all the clients for solving their problems as early as possible. AWESOME TECHNOLOGY THAT SAI USE Using the latest technologies and tools, we have developed software's as per the customized requirements of the customers. Technical expertise has always been the backbone of Soft Amass India (SAI). SAI provides a rich application with Android that allows you to use innovative apps and games for mobile devices in a Java language environment. We widely use PHP as open source general-purpose scripting language that is especially for web development as it is simple but advanced language. Java is a very commonly used by Soft Amass India for developing and delivering platform independent highly secured web, desktop and mobile applications. We use WordPress to build very scalable, 100% Customizable content management website and blogging platform. Our developers are taking help of open source Magento ecommerce development to create better performing ecommerce websites. OpenCart is quite a popular script in SAI for managing online shopping cart as it is XHTML compliant and MVC based architecture. Our developers use Laravel for very secured application development as it has HMVC, RESTful Routing, ACI, Eloquent ORM. If we consider web app with advanced features, then CodeIgniter is one of the efficient PHP Frameworks that we are using. We love to use YII to build any web application as it has MVC,DAO/ActiveRecord,caching, authentication, role-based access control. We provide highly customized software solutions,web programming solutions, website design, logo design, flash design solutions of supreme quality at affordable rates from India. Using the latest technologies and tools, we have developed software's as per the customized requirements of the customers. Technical expertise has always been the backbone of Soft Amass India (SAI). Soft Amass India ( SAI ) is an IT services, business solutions and outsourcing organization that convey genuine results to universal businesses, guaranteeing a level of confidence that no other firm can go with. SAI proposes a consulting-led integrated collection of IT and IT-enabled services delivered through its exceptional Global Network Escape Model (GNEM), recognized as the yardstick of excellence in software development. SAI' assertion services, which span consulting, accomplishments and elucidations, ensure business confidence with end-to-end testing services athwart diverse industries and regions. We provide highly customized software solutions,web programming solutions, website design, logo design, flash design solutions of supreme quality at affordable rates from India. At Software Development we build tailor made solutions for you that are exactly aligned with your business goals. We work constantly to make sure that you achieve measurable results. We’re proud to offer a range of mobile app development services. Our experienced team is comprised of Android app developers with the skills, creativity, initiative and expertise. Some of our best Clients We deliver globally, providing result-driven project management and seamless communication. Our solutions yield benefit in Internet-facing, corporate and hybrid environments. Soft Amass India delivered more than we expected, and the total cost less than budgeted. SAI lived up to their reputation for professionalism and ability to deliver. The SAI team is a very competent and professional group of software development specialists. We'll certainly work with SAI again. The technical and management people at Soft Amass India delivered a high quality solution on time and on budget. They are easy to work with and consistently kept us informed of the project status and they shows a great commitment to customer satisfaction and it is a pleasure to work with them. When AMA Developers needed Android development expertise, we choose SAI. SAI delivered our project on budget & the high-quality of SAI’s code enabled us to get our product into production faster than expected. For software development expertise, AMA Developers recommends SAI. Soft Amass India is an outstanding software development company that has demonstrated a depth of technical expertise in PHP and Android development. I am extremely happy with my working relationship with Soft Amass India and look forward to engaging them on future projects. We have great respect for the technical & management capabilities of SAI. Their team is highly competent, easy to work with & have delivered results that have enabled us to meet our business objectives. We look forward to a continued relationship with SAI on future software development projects. SAI is an innovative and professional company that has provided Achievement Technologies with valuable Web development services. We are very happy with our decision to use SAI, as their expertise has translated into a distinct competitive advantage for us. Overall, SAI is a great company to work with! Industrial training going on. Please register yourself for the opportunity to make your future bright. Career opportunities is launched now. Please register yourself to get opportunity for joining SAI team. Copyright © 2012 - 2018 Soft Amass India (SAI) | All rights reserved.